With the early success of her business Brannan began to purchase and commission work by Bay Area artists that were hung in her home. Brannan’s collection included works by Bernice Bing, William T. Wiley and Squeak Carnwath, as well as unknown young artists and graphic designers from the California College of Arts and Crafts. After the dot-com bubble burst Brannan left the tech industry in 2001 dissolving her art collection of an estimated 250 artworks. 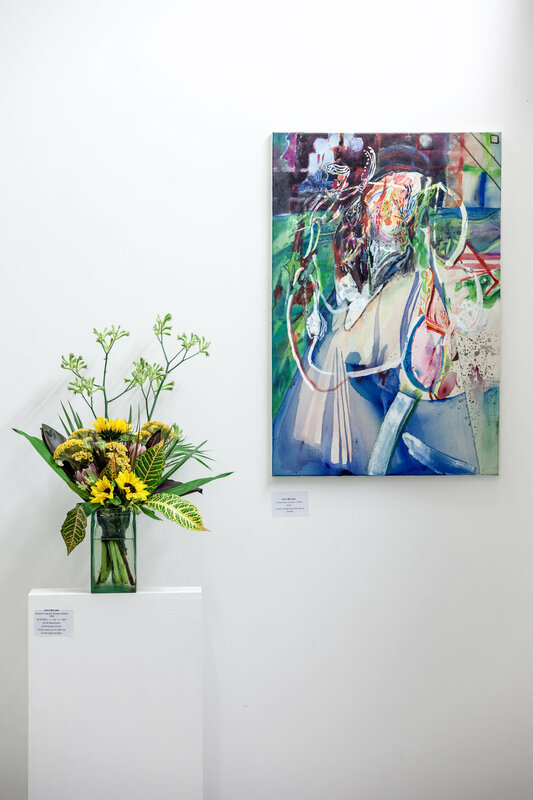 The Jamie Brannan Archive Exhibition combines archival materials with the works of young florists, artists, illustrators and graphic designers that reflect the ethos of Jamie Brannan’s original collection. Inspired by California wildflowers and the type of arrangements that were sold through the GoldRush website, Alice McCabe, a florist and painter has developed two floral arrangements. 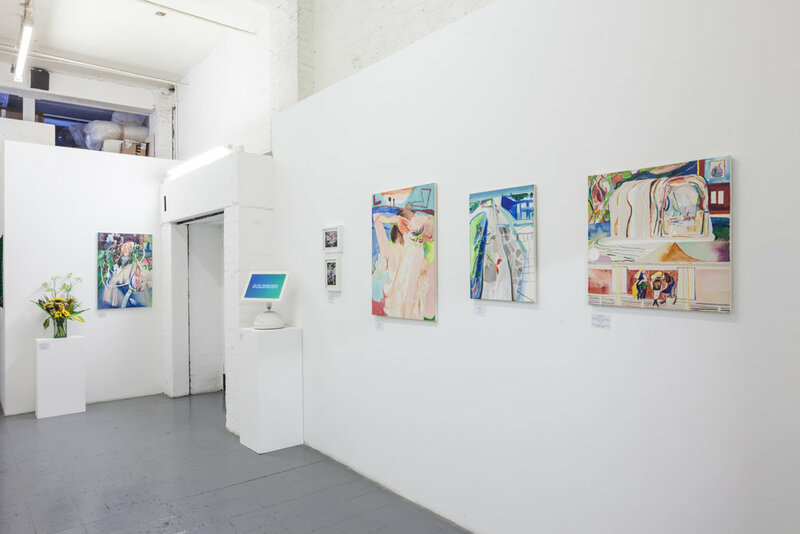 Paintings by McCabe echo the inventive abstract narratives that Brannan seems to be drawn to in her own collecting practises. Illustrator Priya Sundram responded to Jamie Brannan’s unique position as a female entrepreneur in the tech field by creating a series of posters. Based on a former employee’s description graphic designer Christian Corless has reconstructed the GoldRush logo. 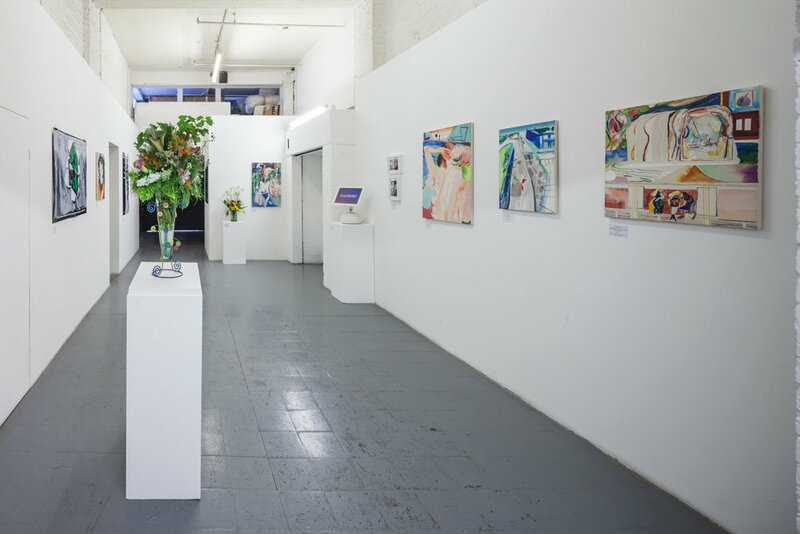 McCabe, Sundram and Corless’ contemporary pieces highlight the distinctiveness of the Jamie Brannan collection in the nascent dot.com world and opens up questions of the relationship between the art world and tech collectors. Be Just and Fear Not. We would like to thank Dr James Lattin of the Museum of Imaginative Knowledge and an expert in 1990s computer culture for his support and research into Jamie Brannan’s collection.